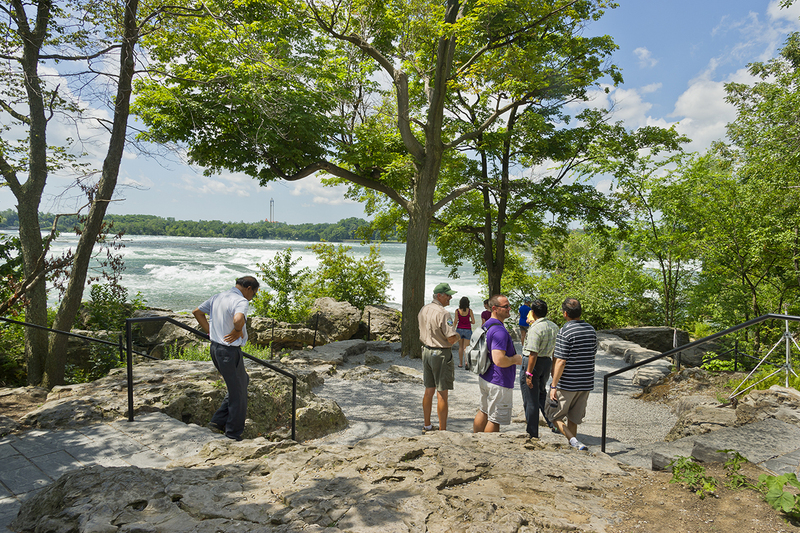 TWMLA brought new life to the beloved Three Sisters Islands in the Frederick Law Olmsted designed Niagara Falls, State Park. Three Sisters Islands provide some of the most intriguing and intimate experiences in the park, and contains the greatest ecological diversity within the park. Years of intensive visitation and unchecked invasive species growth had left the islands in poor condition. 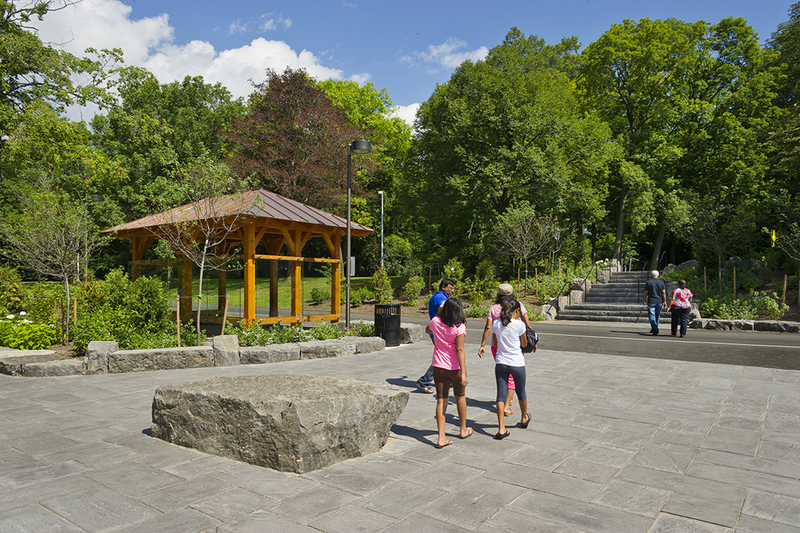 TWMLA was contracted by New York State Office of Parks, Recreation, and Historic Preservation to prepare a restoration plan to address the worn landscape, hardscapes, and infrastructure for the next generation of use. 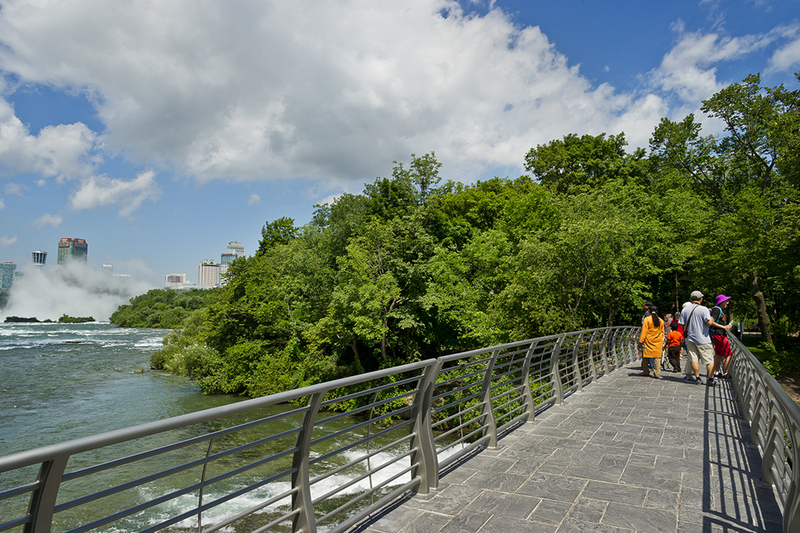 A unified pavement of durable concrete pavers was developed by TWMLA and utilized extensively from the new entrance plaza to the rushing water of the Niagara River, and evokes traditional local stonework throughout. The new pavements weave through rock out croppings to provide seating and overlooks along the length of the trail. Leading a team of consultants, TWMLA began the landscape restoration process by identifying and removing invasive species from the islands. Bioengineering, including coir fiber logs, was utilized for erosion control and slope stabilization. Extensive new plantings native to the riparian context were reestablished. The quality and diversity of the plantings are now central to the visitor experience. 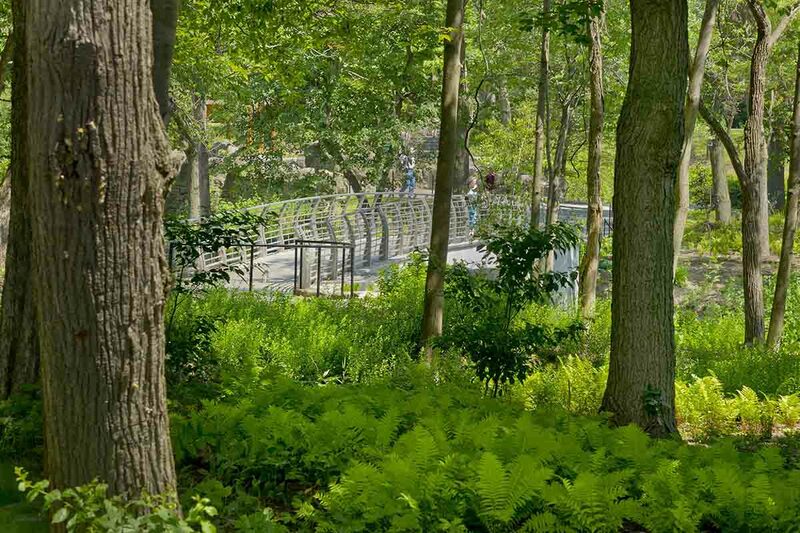 Two existing 1940s-era pedestrian bridges originally constructed in a brutalist concrete style were sensitively rehabilitated to fit them into the natural park setting. 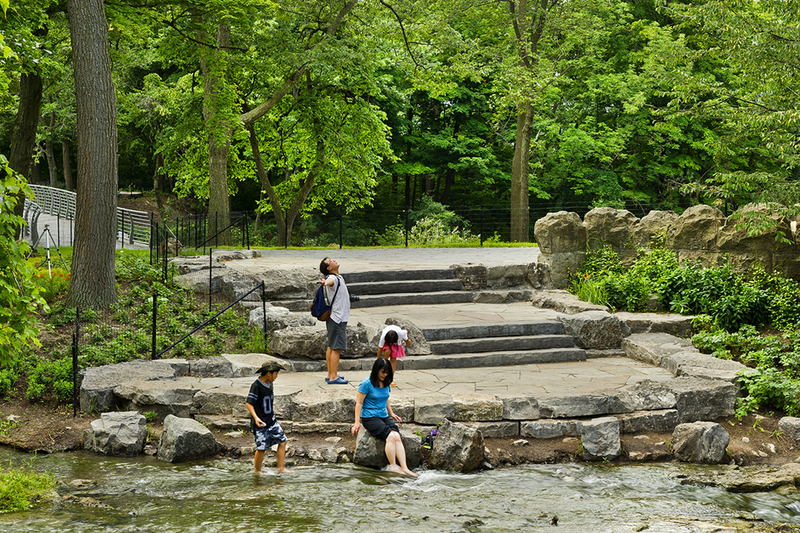 The bridge railings were replaced with a design inspired by other historic Olmsted-designed railings in the park. The rehabilitation approach streamlined permitting and extended the project budget.